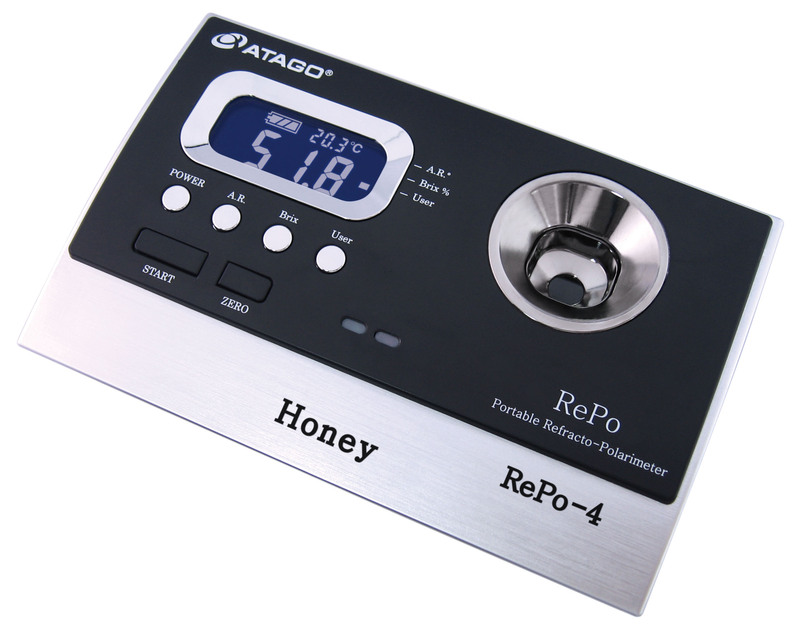 The REPO-4 is specifically designed for total analysis of honey. The Repo-4 can measure honey moisture (%), brix, the amount of fructose contained in honey (%), and angle of rotation. Users can also set an upper and lower measurement limit. An indicator light alerts the user if a measurement value is within the limits, allowing for optimal efficiency.